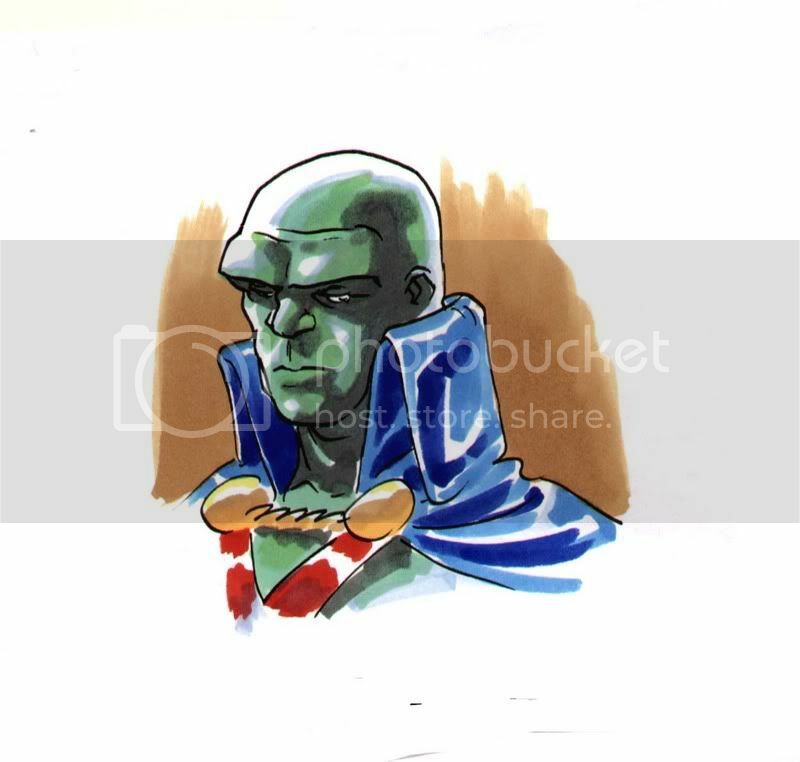 I love your version of J'onn, Chris! The new color sketches are looking fabulous-- if I didn't know you were using the brush pens, I would mistake them for watercolors. . . These are actually all just markers. Big fat quarter inch wedge-tip Prismacolors.